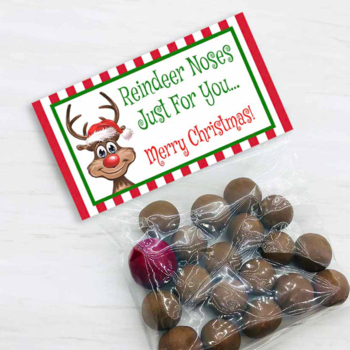 These printable reindeer noses treat bag toppers are great for Christmas and/or winter parties. Use them to top off treat bags, cookie bags, confetti bags, and other items. This is a fast and easy project to do. Simply download, cut, and staple or tape them to your bags. You will receive both the 4.5 x 2.5" and the 6.5 x 2.5" versions in easy to print PDF format. 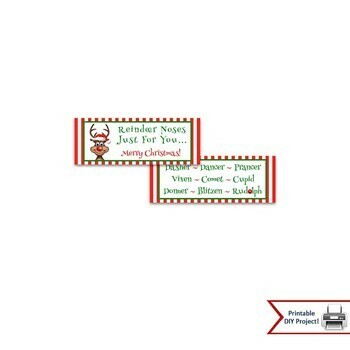 Find more Christmas and Holiday items here.